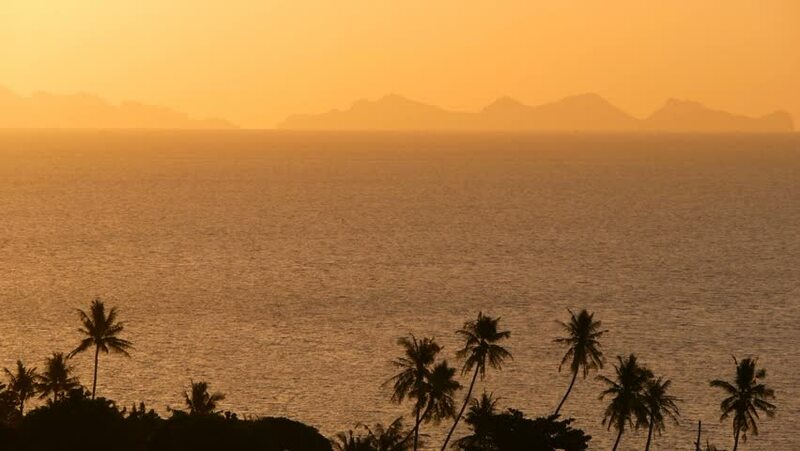 Majestic tropical orange summer real time sunset over sea with mountains silhouettes. Aerial view of dramatic twilight, golden cloudy sky over islands in ocean. Vivid dusk seascape natural background. hd00:17Majestic tropical orange summer real time sunset over sea with mountains silhouettes. Aerial view of dramatic twilight, golden cloudy sky over islands in ocean. Vivid dusk seascape natural background.